The wood, paper and furniture industry is one of the key sectors of the Polish economy, its combined gross value added stood at PLN37.57bn in2016, which represented 2% of the GDP. The gross output of the three subsectors stood for around 6.5% of the country’s GDP in 2016. In the same year, it also accounted for 12.5% of employment in manufacturing and 2.5% of total employment in the Polish economy. 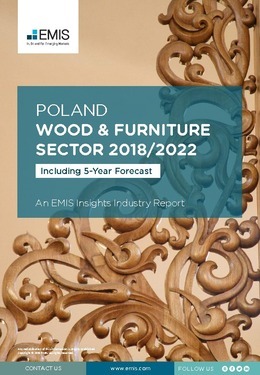 This report provides a complete and detailed analysis of the wood and furniture sector for Poland. EMIS Insights presents in-depth business intelligence in a standard format across countries and regions, providing a balanced mix between analysis and data. The report also includes a separate chapter with 5-year forecasts for the main sectoral and macroeconomic indicators, delivered in the form of both time series and analytical commentaries.